Your smile is one of the first things people notice. 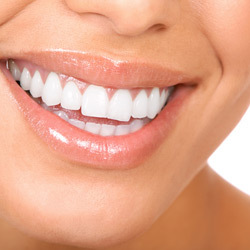 Brilliantly white, well-formed teeth convey beauty, vitality, and enthusiasm. Dr. Turk is a skilled cosmetic dentist who uses modern technology and proven therapies to create natural-looking smiles that feel terrific! Following your in-depth cosmetic dentistry consultation and comprehensive exam, Dr. Turk will create a treatment plan specifically for your unique needs. Your smile makeover may include porcelain veneers or cosmetic bonding and contouring to transform flawed front teeth. Professional teeth whitening can brighten teeth up to ten shades, erasing stains and turning back the clock. Digital imaging or a mock up will help you envision your new look, and you can learn more from watching short CAESY Patient Education videos in the office. Review our esthetic services, and then call today to schedule a smile makeover consultation with your cosmetic dentist, Dr. Turk. Distinctive Smiles provides quality care and exceptional service to residents of Orange and surrounding areas.